TRANSCEND MEDIA SERVICE » No More Violence! An Urgent Call: Turn Away from Violence at Home & Abroad! 27 Oct 2018 – In recent days we have learned about the terrorist hate crime murders at a Pittsburgh Jewish Synagogue; the mailing of more than a dozen package bombs to critics of President Trump; the grisly murder of a Washington Post journalist inside a Saudi Arabian consulate; the sending of US troops to confront fleeing Central American refugees at the Mexican Boarder, and the U.S. withdrawal from another international agreement – this one an arms control treaty with Russia. What we haven’t heard as much about lately are the ongoing US wars (is it currently six or seven?) in the Middle East that have resulted in millions killed, wounded or made refugees, covert US “Special Ops” taking place all over the world, and the past US wars and regime changes in Latin America that have created chaos, violence, poverty and a vast number of fleeing refugees and asylum seekers. All the moral giants of history were committed to truth and love and they were people with a vision of hope. Martin Luther King, Jr. said: “Let us realize the arc of the moral universe is long but it bends toward justice.” Truth will overcome Lies. Love will overcome hate. Let us never give up. Love Your Enemies! 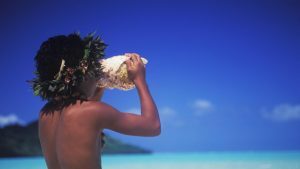 – Live Aloha! By Prof. Surya Nath Prasad, Ph.D.